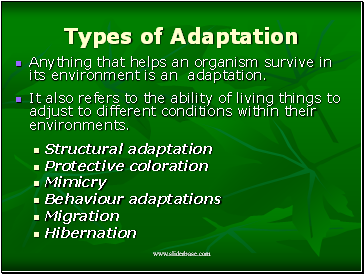 Anything that helps an organism survive in its environment is an adaptation. It also refers to the ability of living things to adjust to different conditions within their environments. 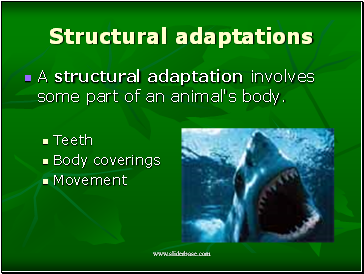 A structural adaptation involves some part of an animal's body. 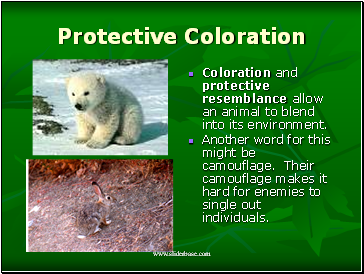 Coloration and protective resemblance allow an animal to blend into its environment. Another word for this might be camouflage. Their camouflage makes it hard for enemies to single out individuals. 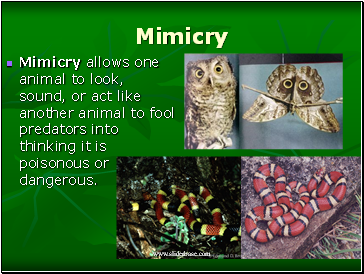 Mimicry allows one animal to look, sound, or act like another animal to fool predators into thinking it is poisonous or dangerous. 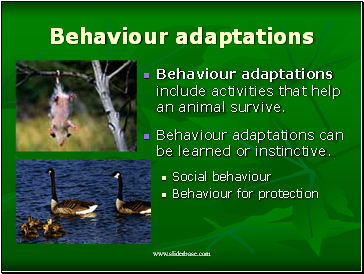 Behaviour adaptations include activities that help an animal survive. Behaviour adaptations can be learned or instinctive. 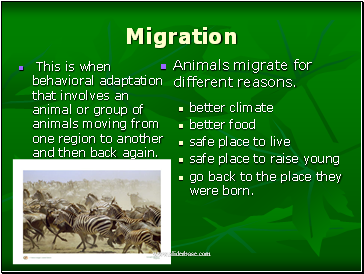 Animals migrate for different reasons. go back to the place they were born. 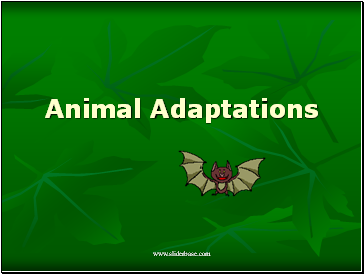 This is when behavioral adaptation that involves an animal or group of animals moving from one region to another and then back again. This is deep sleep in which animal’s body temp droops, body activities are slowed to conserve energy. E.g. 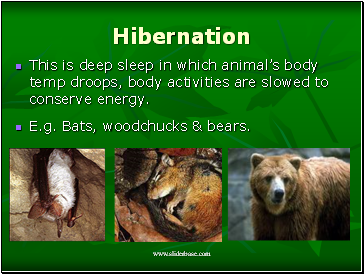 Bats, woodchucks & bears.